Dr. Ross Palioca and the team at Advanced Dental Practices believes in offering biological treatments for patients. 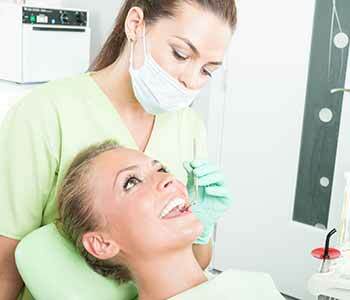 Our dentist ensures everything achieved with the smile keeps the health of the body in mind. Everything done in the smile can affect the body due to the oral systemic connection. Patients in the Wrentham, Massachusetts area are encouraged to take the time to learn about the advantages of visiting a biological dentist for their oral health care. Many patients are interested in learning about the oral systemic connection. This is the link between the mouth and the rest of the body. When an infection develops in the mouth in the form of periodontal disease, it can travel through the bloodstream and infect other areas of the body. It can increase one’s risk for developing diabetes, heart disease, or increase the risk of strokes and heart attacks. This is a serious concern. When patients receive a diagnosis of periodontal disease, they need to work with a dentist to determine the best treatment plan and bring their smile back to health – therefore improving the health of their entire body! Patients with periodontal disease need to work with a professional to bring their smile back to health. Antibiotics can combat the infection, and treatments such as scaling and root planing can clean plaque and tartar from the teeth and get patients on the right path to a healthier smile! Visit Advanced Dental Practices today to learn more! The team at Advanced Dental Practices, including Dr. Ross Palioca, encourage patients to consider the benefits of visiting a biological dentist in Wrentham, Massachusetts. Our practice is conveniently located at 21 East Street. Call (508) 456-7111. Make an appointment and discuss the advantages of biological dentistry for you and your family!